Wall fasteners are not included. 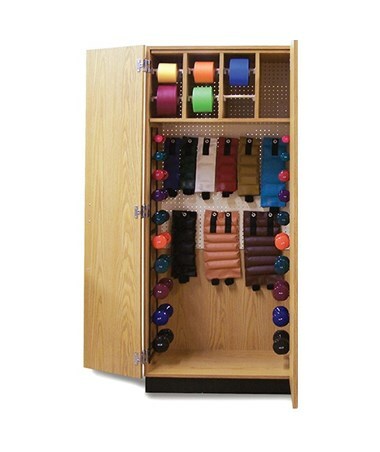 The Hausmann Industries Thera-Wall™ Therapy Storage System Cabinet with Upper Dispenser is a part of a modular wall system designed to store exercise bands, dumbbells, and Hugger® Weights. 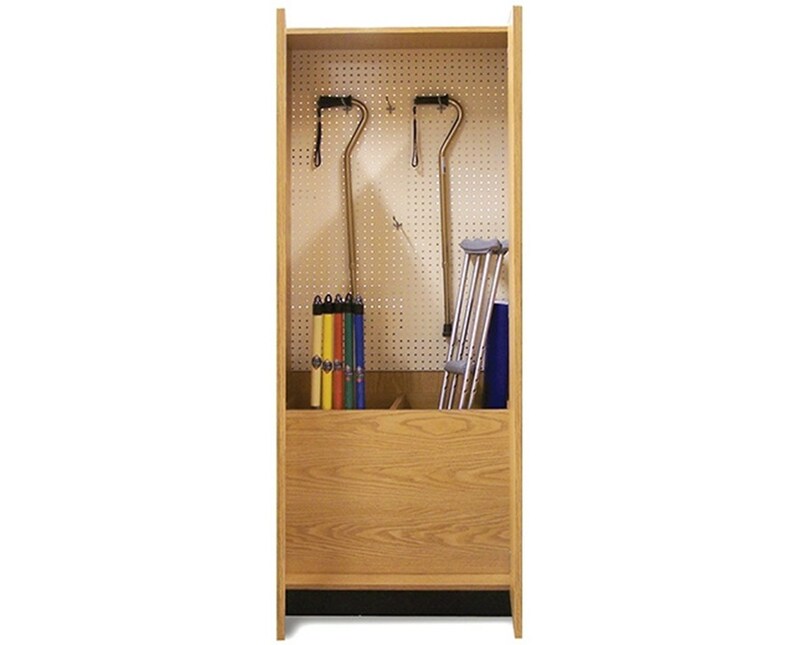 Because of this, it is a great choice for any physical therapy or rehabilitation facility. Robust Construction. 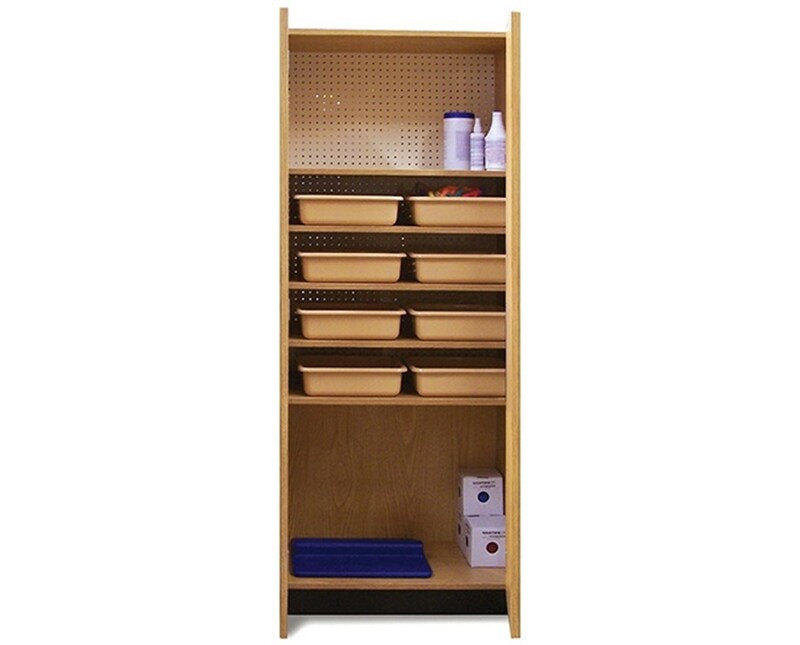 Designed to fit any wall space, the System Cabinet with Upper Dispenser is constructed with oak laminate, is equipped with two (2) hinged locking doors and has 3mm PVC High-Impact edging on all door fronts. 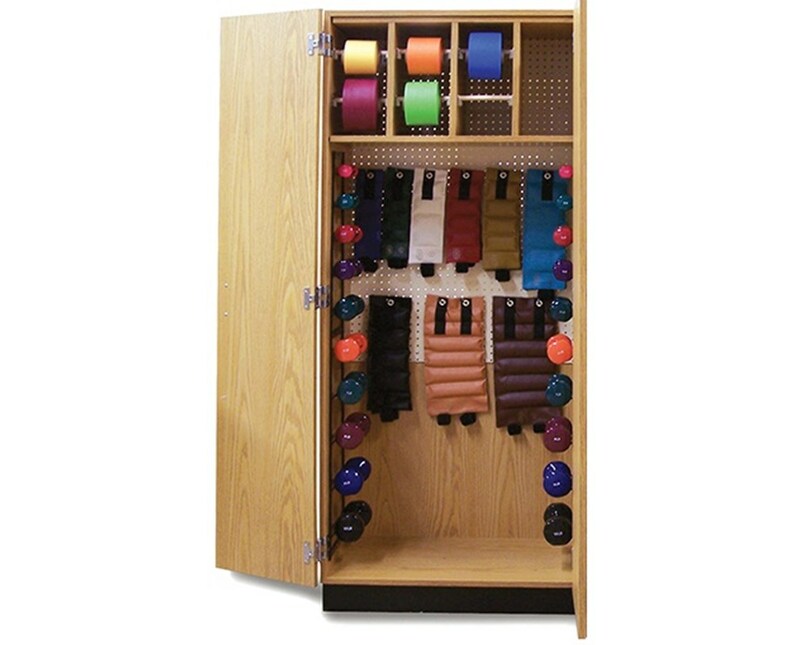 The included Almond-coated pegboard panel can hold up to 16 Hugger® Weights and has eleven (11) pegboard hooks. It has two (2) 10-hook metal wire racks found on both interior sides to store up to 20 dumbbells. Part of a Whole. 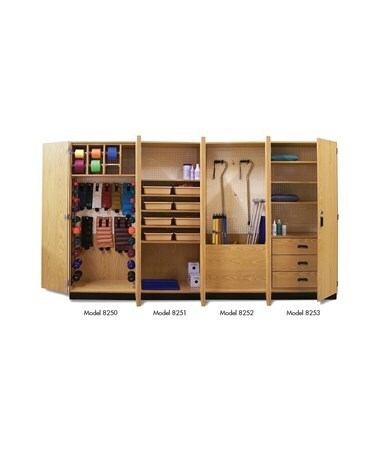 This cabinet is modular thus giving the user the opportunity to mix and match which cabinets to purchase and install together. 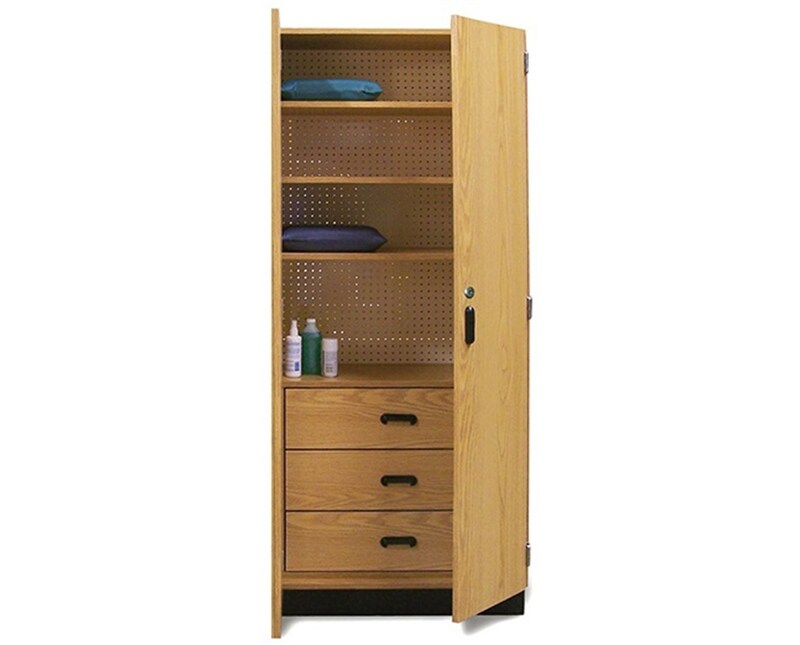 Each modular cabinet must be securely attached to the wall but can be detached and moved if needed. Two (2) Sets of 10 Dumbbells each from 1 to 10 lbs.